If you have a penchant for big phones, but find the Galaxy Note II entirely too pedestrian, the LG Optimus G Pro on AT&T might be just the thing. AT&T is asking $199.99 for this brand new device, but Amazon is already offering a deal (albeit a small one). 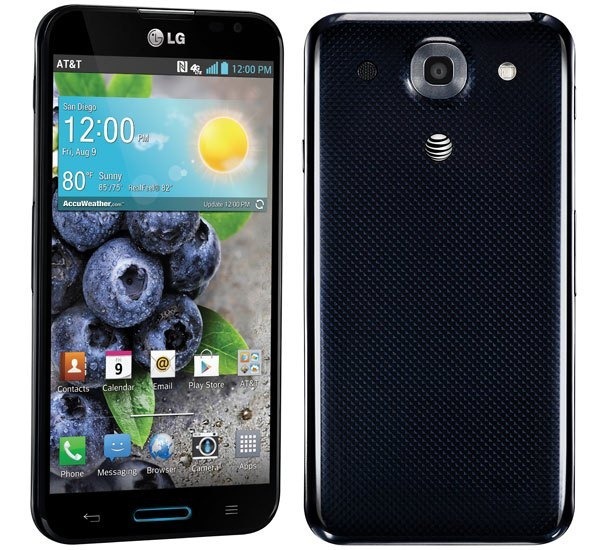 The Optimus G Pro can currently be snatched online for $169.99 on a 2-year contract. This new LTE-packing handset has a 5.5-inch 1080p screen, 2GB of RAM, and 32GB of storage. Inside is a 1.7GHz Qualcomm Snapdragon 600, the same super-chip found in the HTC One and Samsung Galaxy S4. Sadly, there are no fun color choices for this device – it's just black. LG didn't even try to come up with a ridiculous name for the precise shade of black. A $30 savings isn't life-changing, but at least it's available to all on-contract buyers. These deals are often restricted to new sign-ups only.